Christmas Calendar: The Days before Christmas. (New York): Harper & Brothers, (1951). ￥16,000 (税込み) 36.7 x 26 cm. 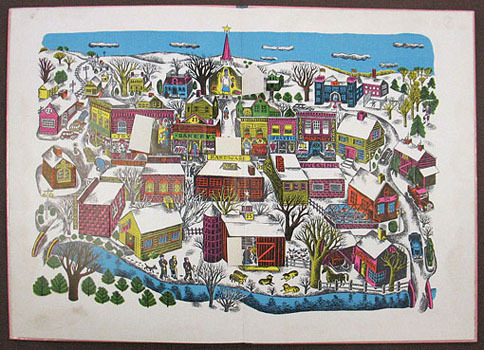 The activities of all throughout the town that precede Christmas are presented on a large double-page color spread, each of the stores in the town is busy preparing for the holiday, and each has die-cut door that the reader opens to see what is happening inside. Stylized color illustrations and a wonderful christmas item. Cloth backed pictorial boards.